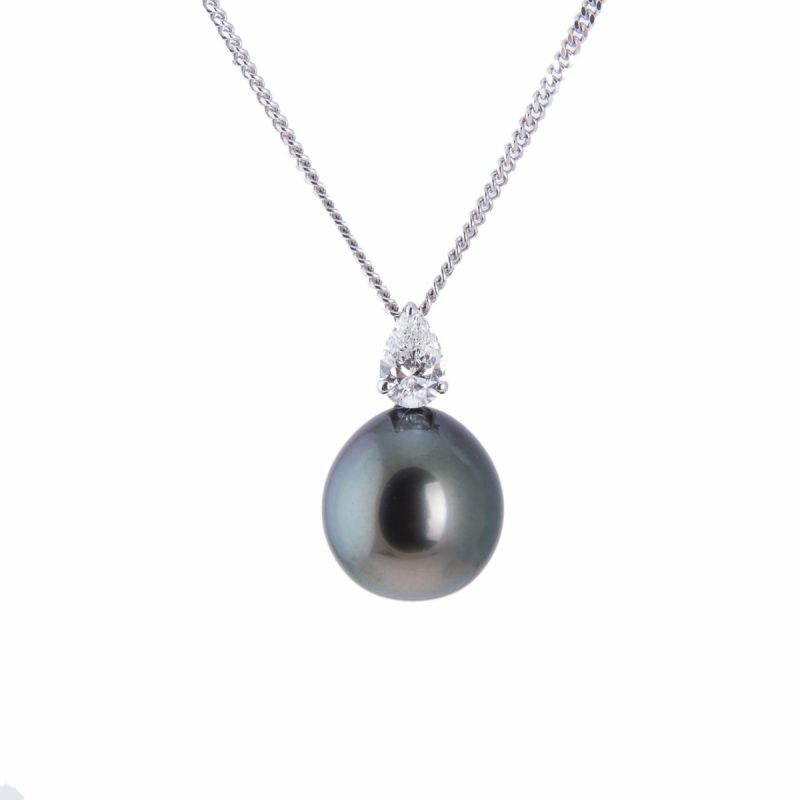 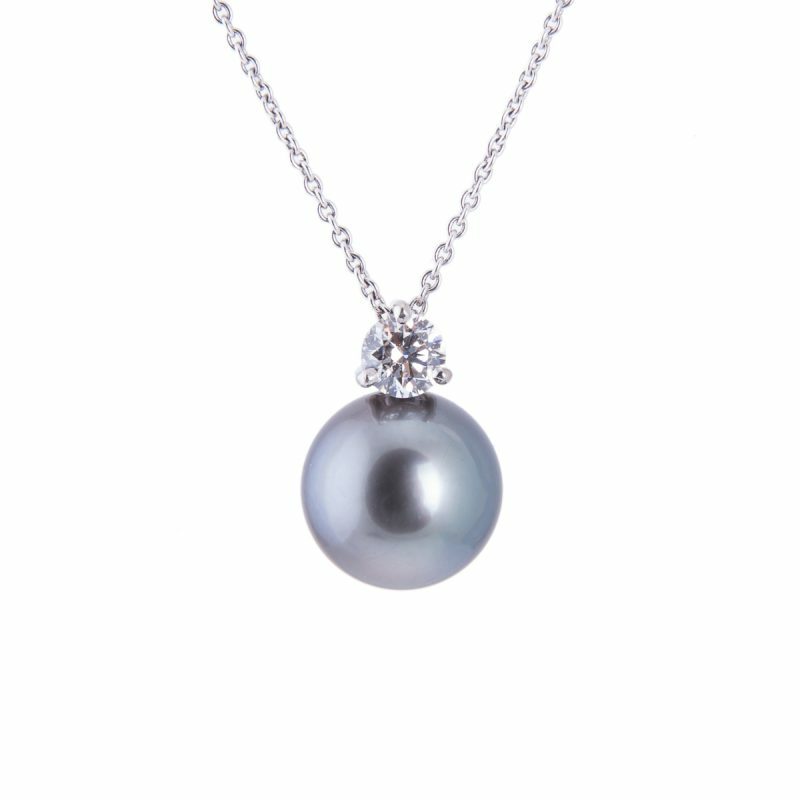 Add a touch of elegance to your fine jewellery collection with this impressive black Tahitian pearl and diamond pendant. 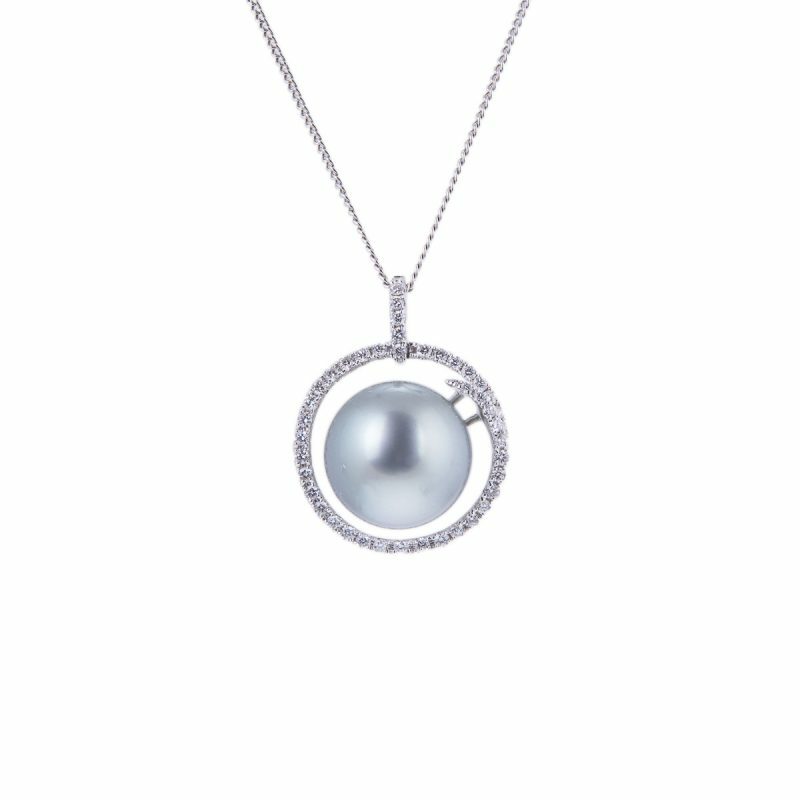 Mounted in 18ct white gold, this drop pendant is set with a pear cut diamonds, which sparkles like raindrops contrasting with the iridescent purple and blue tones exhibited by the pearl. 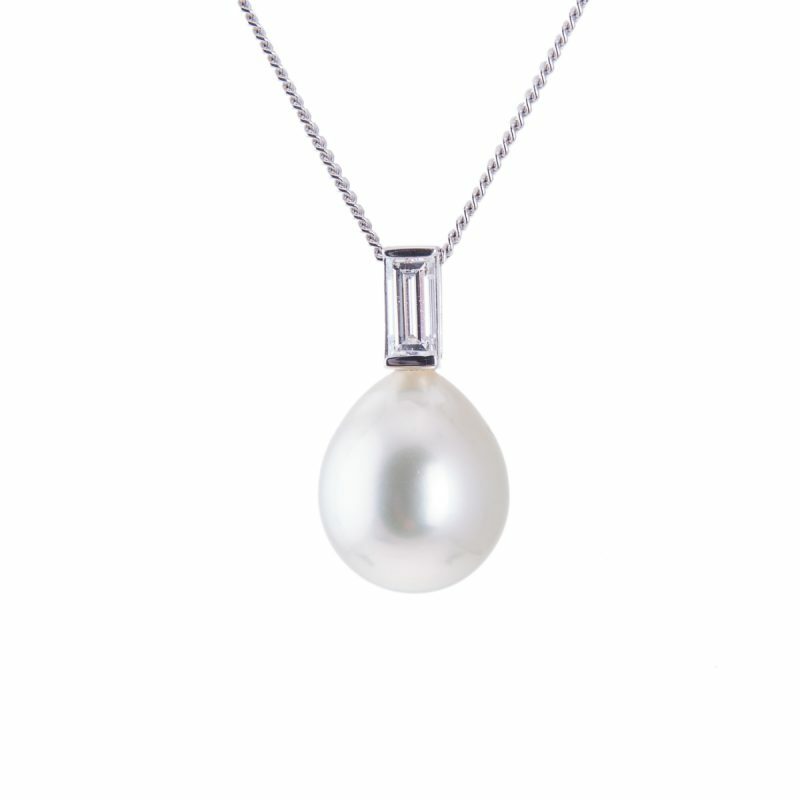 An example of beautifully crafted art, to always please the wearer.